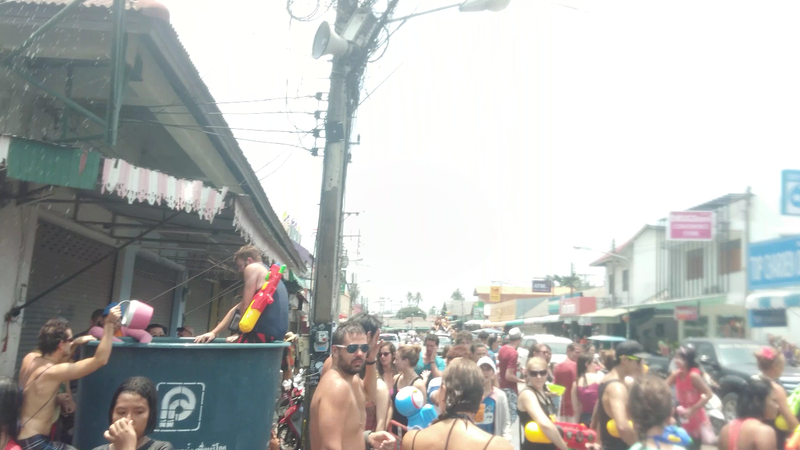 We woke up in Haad Rin the usual time around 8 AM and most of the town is still sleeping and recovering from partying hard the night before. 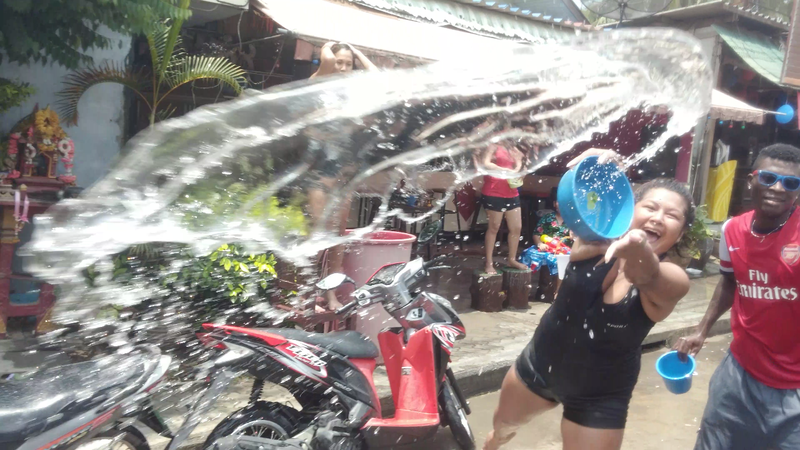 There are small clues that the Thai Songkran festival has begun. We hear people shouting "Happy New Years!" 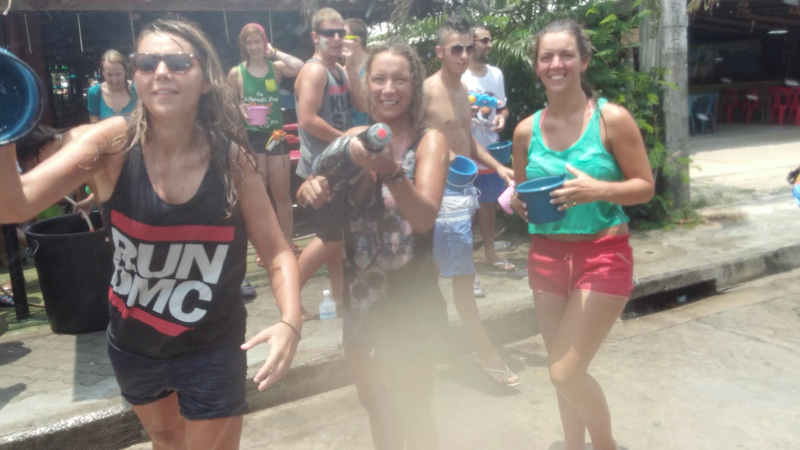 and see a couple people on motorbikes with water guns. 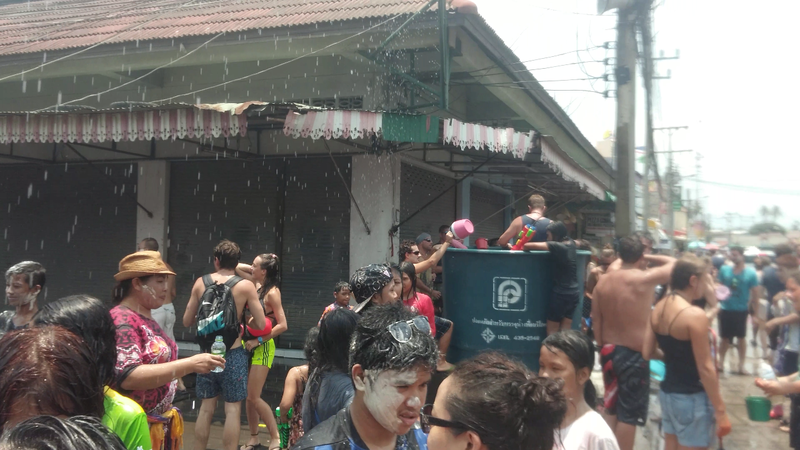 We head to our usual breakfast spot, Lazy House, where the expat Jaime is already wet and his face smeared with white cream. 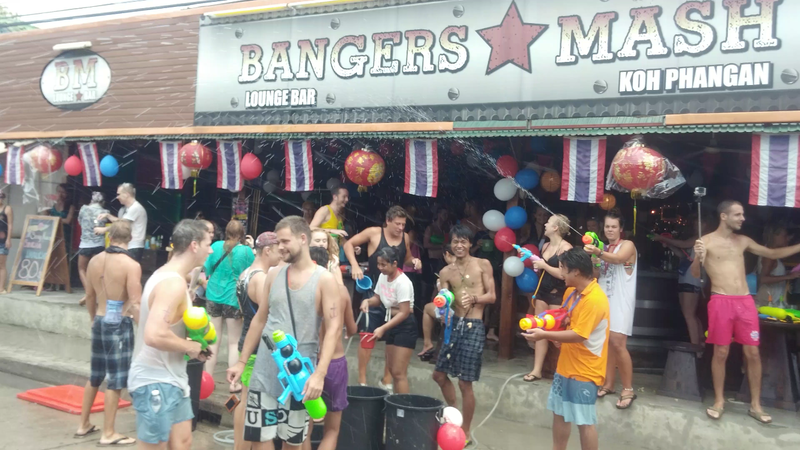 The word "Songkran" is derived from Sanskrit and means change. 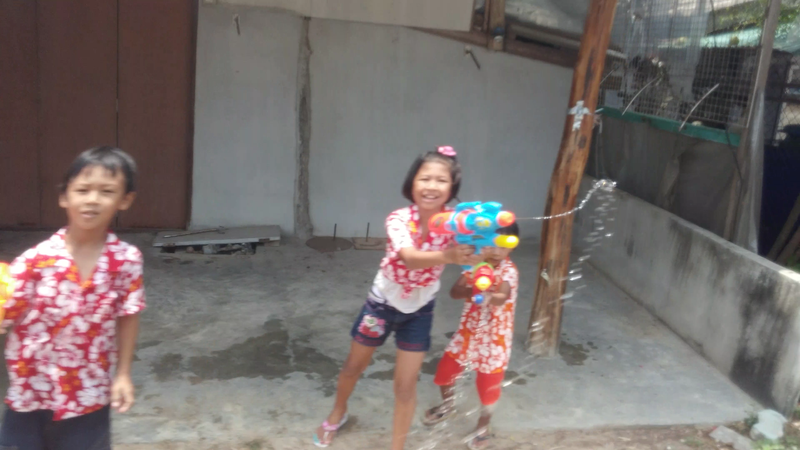 The holiday is celebrated throughout most of Southeast Asia including Cambodia, Thailand, Laos, Myanmar, Nepal, Sri Lanka and Bengal. I have fond memories of celebrating New Years growing up. My mother would cook wonderful traditional Cambodian food and we would go to the temple. 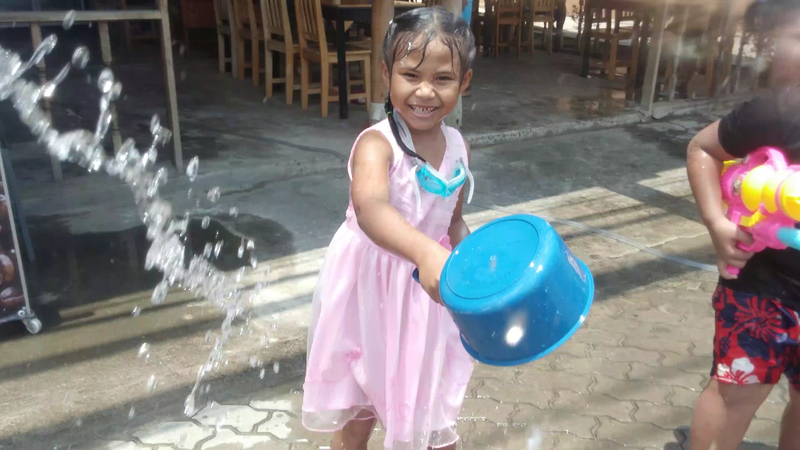 We all got dressed up in traditional Cambodian Silk outfits or pretty Easter dresses if we were young. 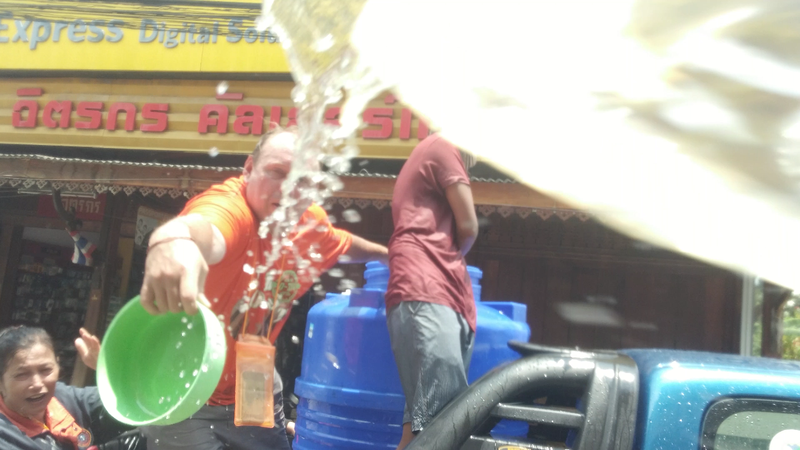 At the temple, we would get blessed by the monks and they would sprinkle holy water on us to cleanse us and bring us good luck and prosperity. Although my family still continues with this tradition, I have sort of drifted away from it. 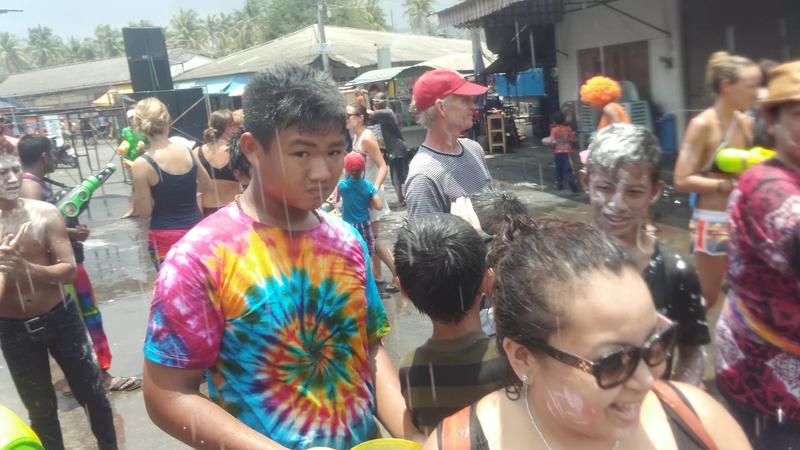 After the blessings, the fun would begin and there would be lipstick, shaving cream and powder fights in the parking lot. 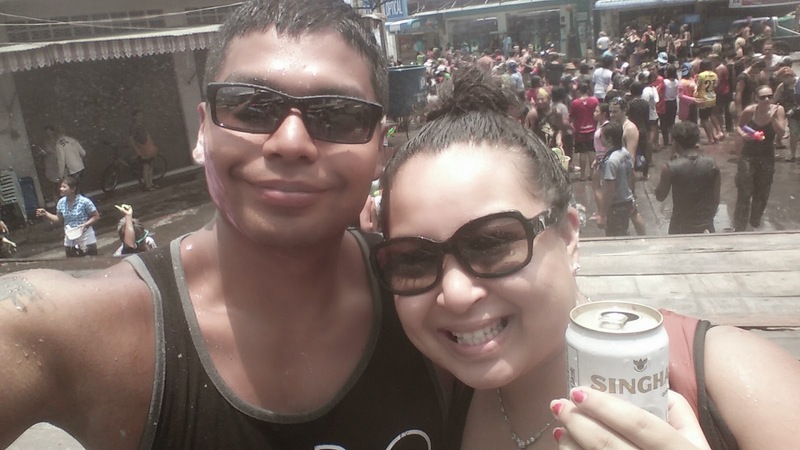 It was so much fun but it also drove the temple upset with all the mess that was going on. 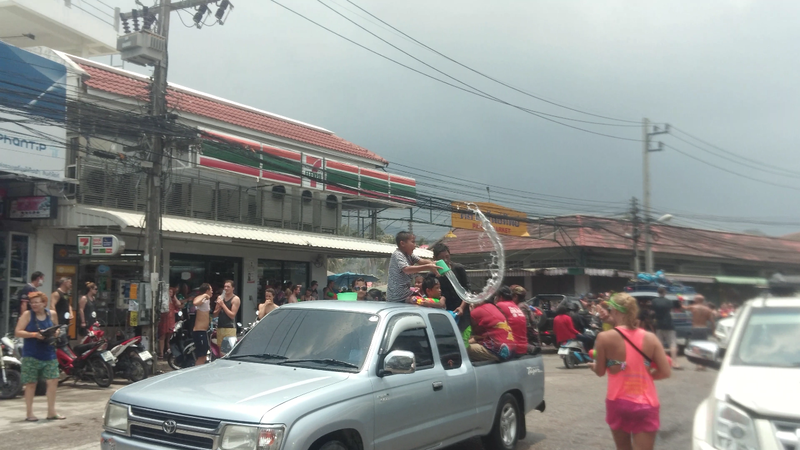 The Mo and I took a songthew into Thongsala, the main town where all the action would take place. 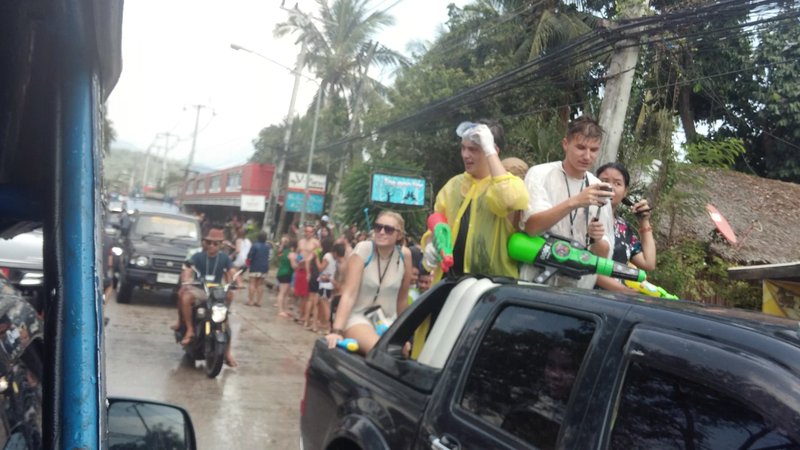 Along the way, people lined up the streets and threw water to passing songthews and motorbikes. 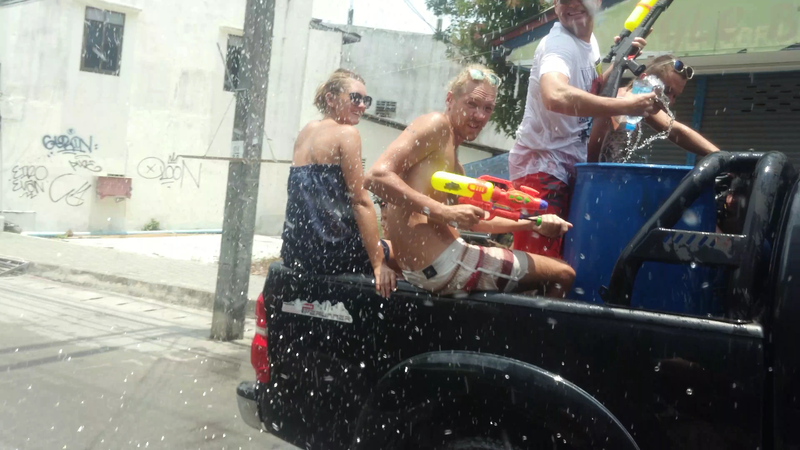 Some vehicles were equipped with their own water buckets and water guns to counteract those on the streets. 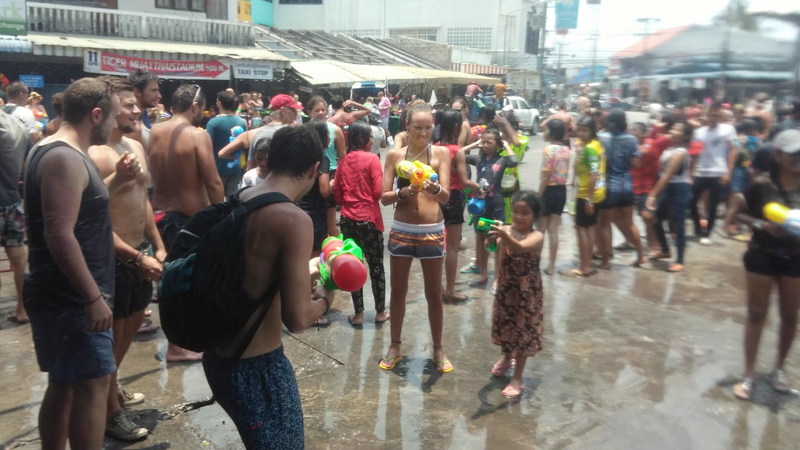 Once we reached town, there was a DJ playing music and locals and visitors gathered and splashed waters and cream all over each other. Everyone was super friendly and participated. 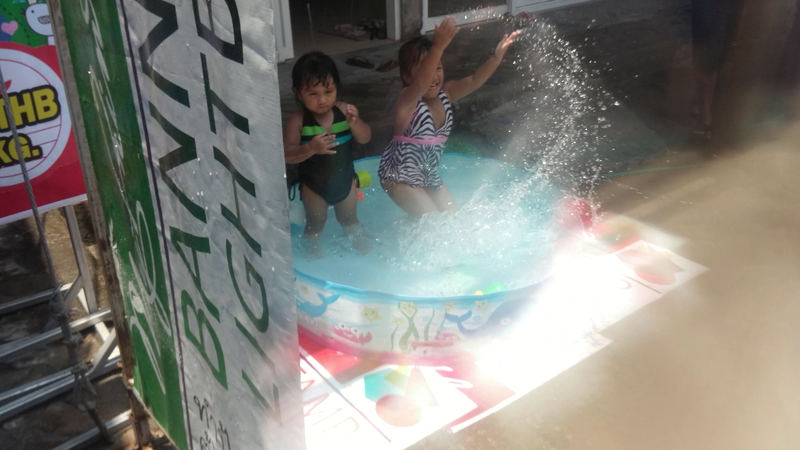 Even the little ones needed cooling off and participated in all the fun. They were so cute!